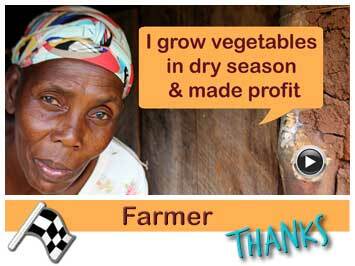 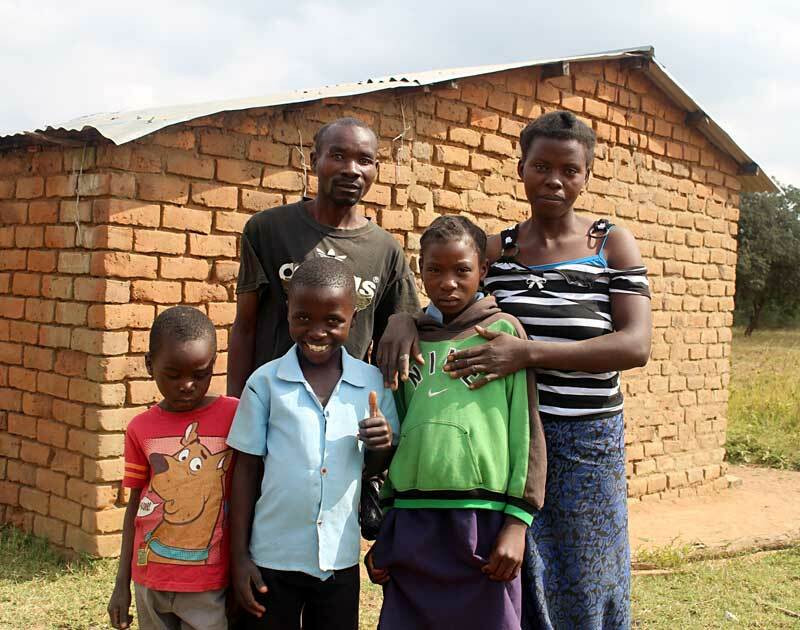 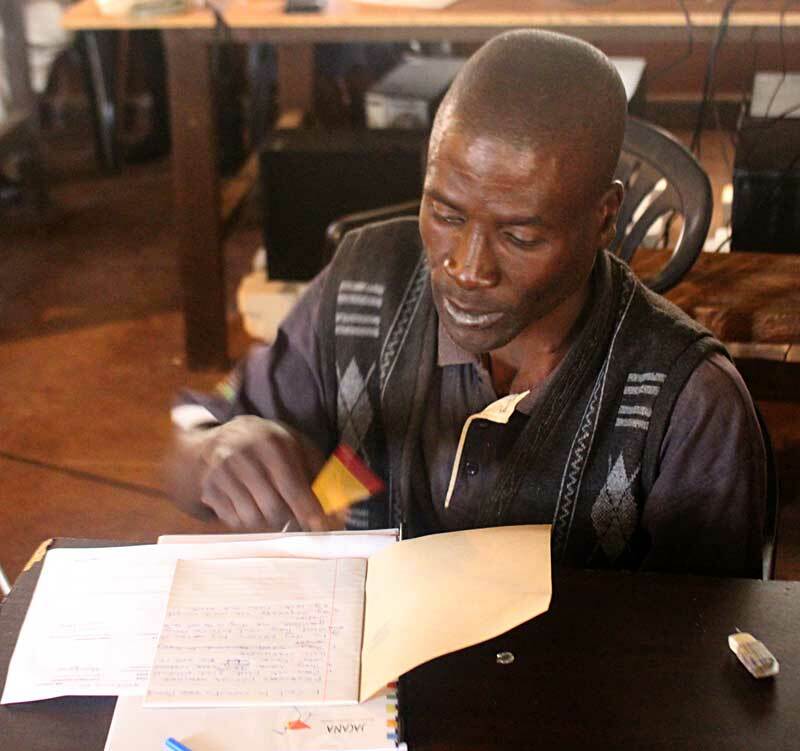 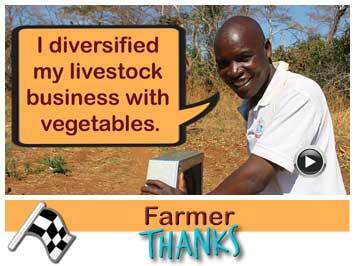 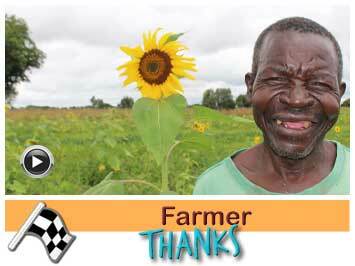 Kelvin is an industrious farmer who is determined to alleviate poverty in his family and make some profit out of his business. 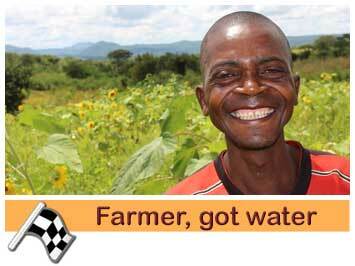 After years of farming, Kelvin wants to expand his farmland. 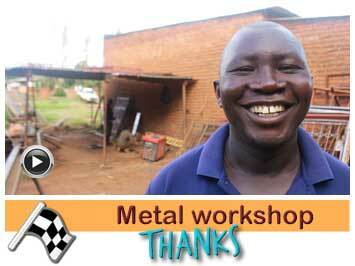 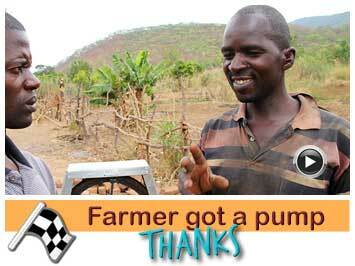 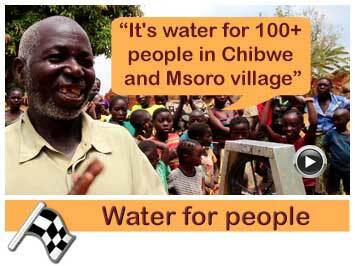 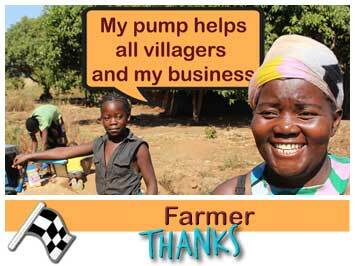 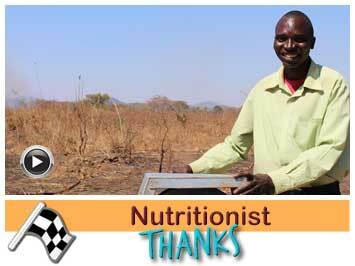 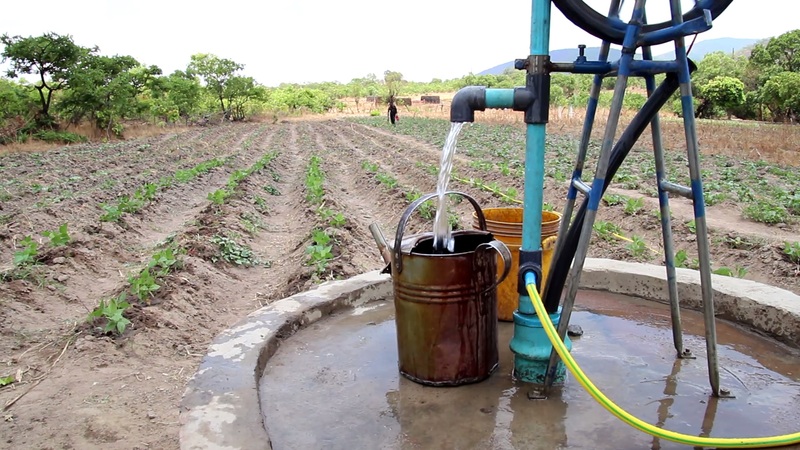 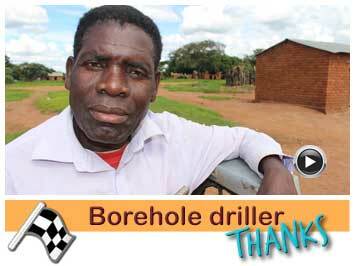 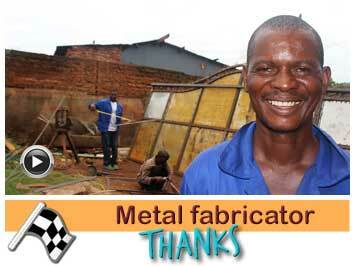 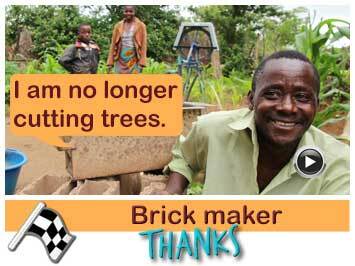 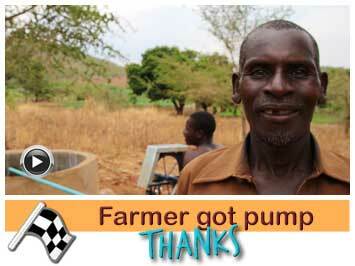 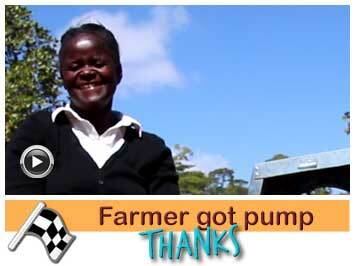 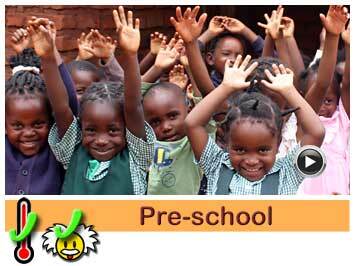 A borehole and pump makes his dream come true. 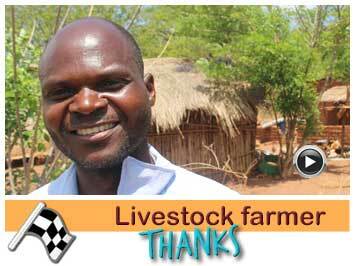 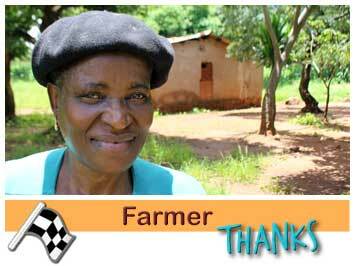 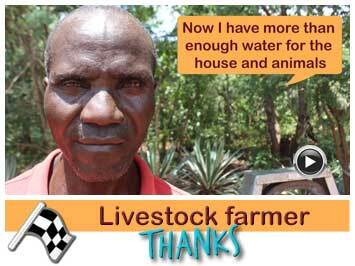 Kelvin is a dynamic farmer and keeps cattle. 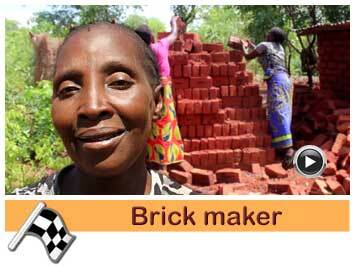 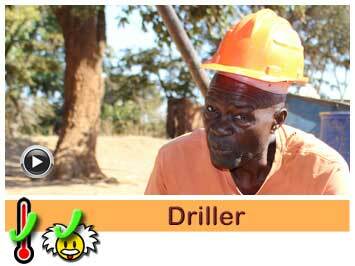 He is married to his lovely wife and the two are parents of 5 children and they live in Maolawo in Chief Mpezeni area. 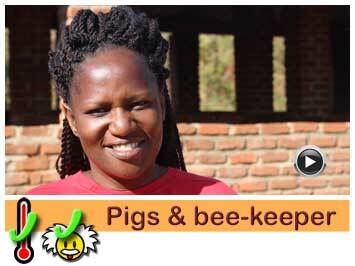 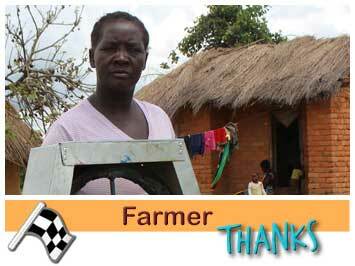 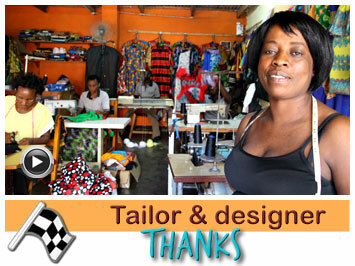 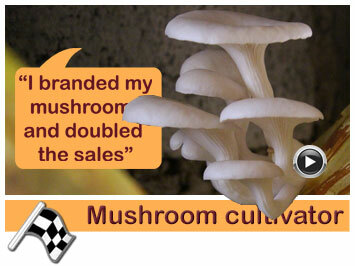 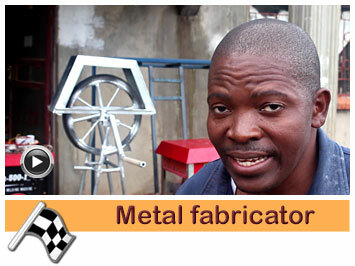 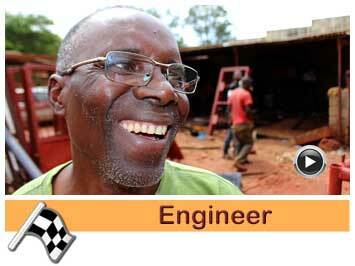 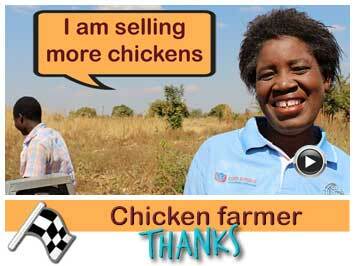 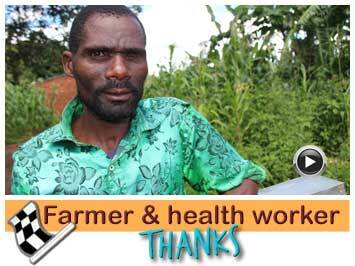 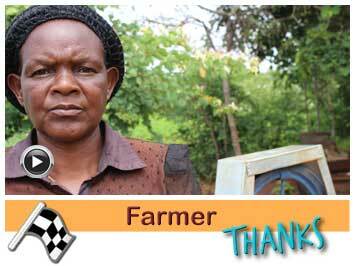 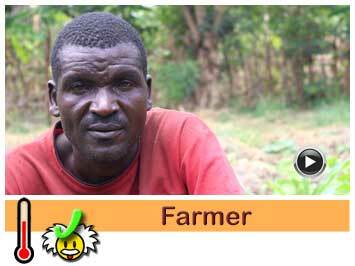 Kelvin is in the farming business for more than 6 years now. 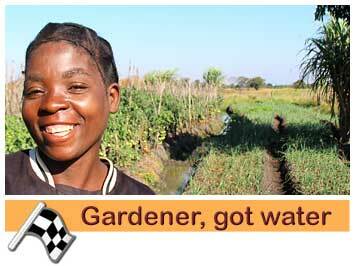 He often grows vegetables, maize and tomatoes. 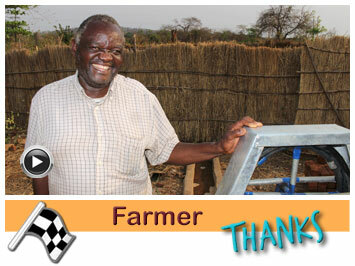 Besides that, he also has cattle at his premise. 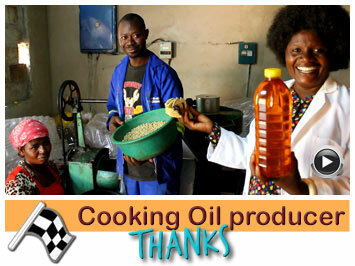 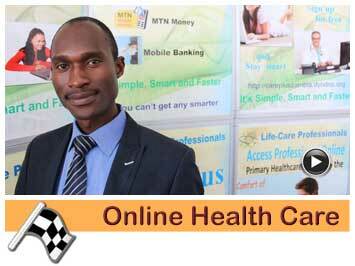 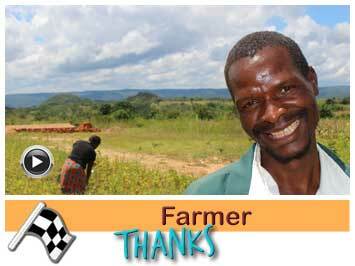 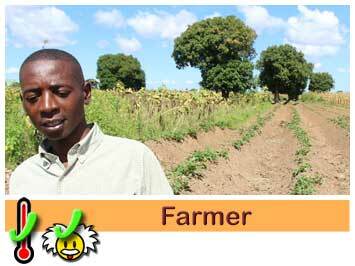 Kelvin wants to expand into farming potatoes; he has already prepared enough land for this product. 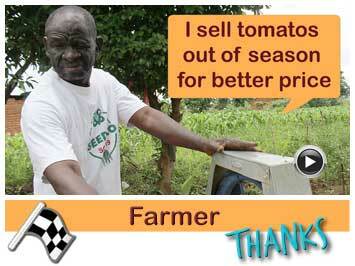 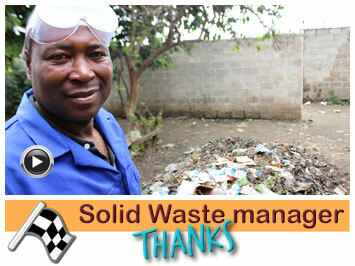 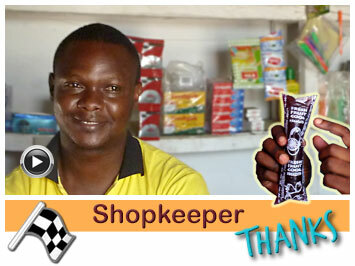 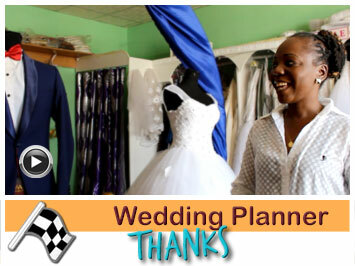 After a thorough market survey, Kelvin believes that potatoes have a good market and it is worth investing on. 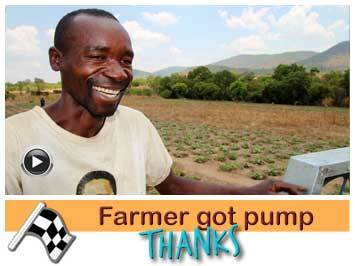 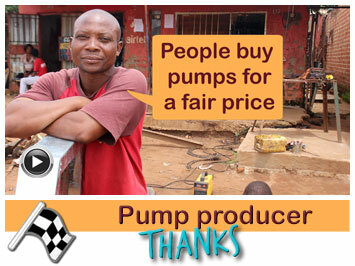 Kelvin extended his farming land up to the pump area. 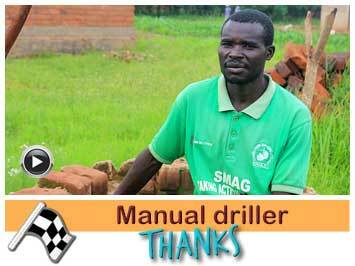 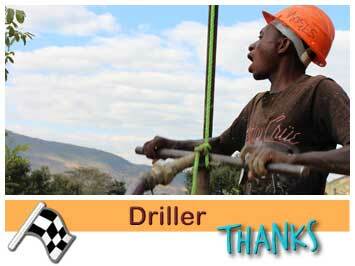 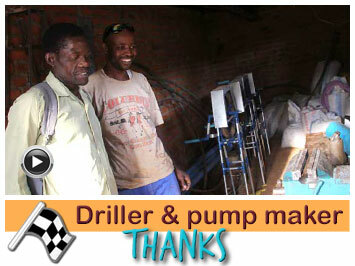 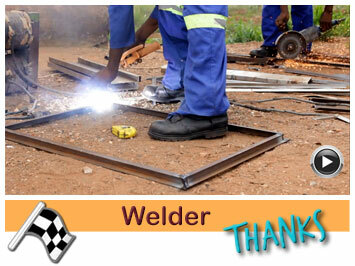 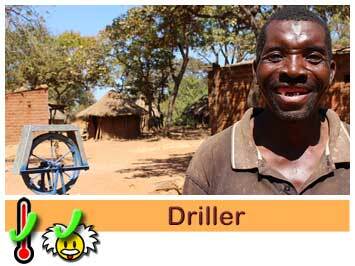 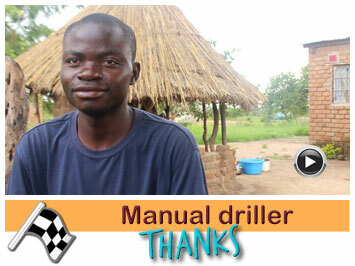 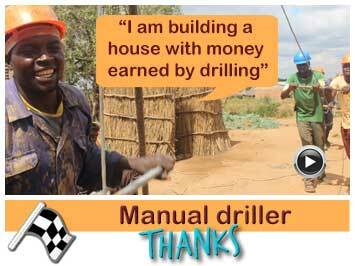 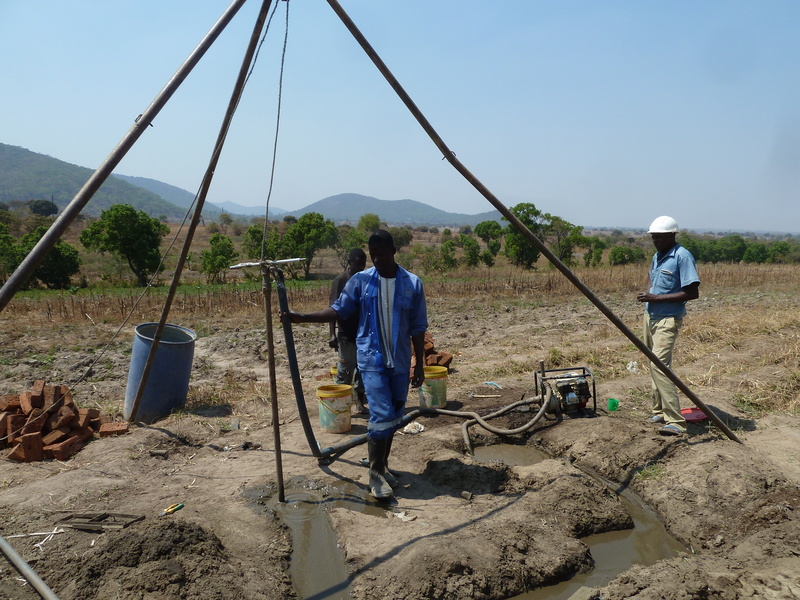 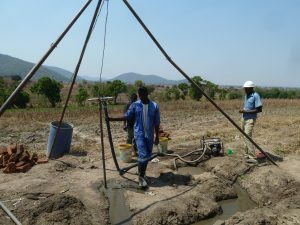 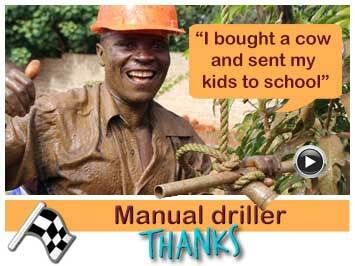 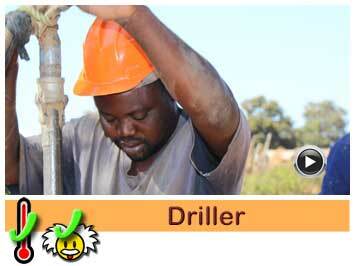 Drillers Steven and Hastings drilled a borehole at the top of Kelvin’s farm land and installed a pump there.